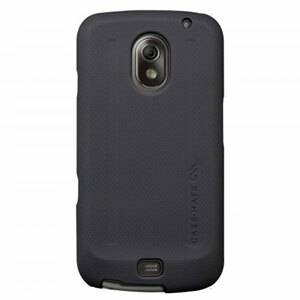 Play defense with the rugged Samsung Galaxy Nexus Tough Case from Case-Mate. Good case for protecting your phone. East to fit and has 2 parts one soft section which goes on first and then the tough section on top. Has edging on screen to help protect the screen edges. holes for connections are perfect so you can still connect, and the power/volume buttons are part of the outer case extended by the case and still work well. Does not add much weight or size to the phone. In all worth the price for a good protection of my phone. I was a bit worried about this case being too bulky and ugly before I bought it. However I was really surprised to find that it actually 'improves' the look and feel of the phone, in my opinion, of course. The phone feels much more substantial with this case. The combination of silicon and matte finishes make the phone feel really nice in your hand, with added grip so you can do most things with just one hand without worrying about the phone slipping from your grip. I also really like the textured feel on the back of the case, both from a look and feel perspective. I can also confirm that it does in fact work really as protection for your phone. I knocked mine off of the window ledge in our bathroom onto our tiled flaw a few weeks ago, it bounced and landed face down. I'd say that the case paid for itself right there in that instant! LoL. I've dropped my phone twice now onto hard surfaces, I'm a little accident prone lately, i guess. So far this case has really impressed me. It's designed really well, fits perfectly, improves the look and feel of the phone, and protects your expensive purchase! Two thumbs up from me. Designed for those who take their phone everywhere, whether that's on the train or up a mountain, the Case-Mate Tough Case is the ultimate in rugged protection. Combining a silicone inner layer with super-tough ABS plastic shell, this case will keep your phone going as long as you do. The Case-Mate Tough Case isn't just about protecting your mobile, it's also super stylish with a textured finish that gives your phone a unique look. This finish also helps improve grip so you're less likely to drop your phone in the first place, and resists fingerprints so your case will look newer for longer. Protection against drops and scrapes is great, but if your phone is prone to dust and dirt getting inside then it will eventually suffer internal damage that can be costly to repair. 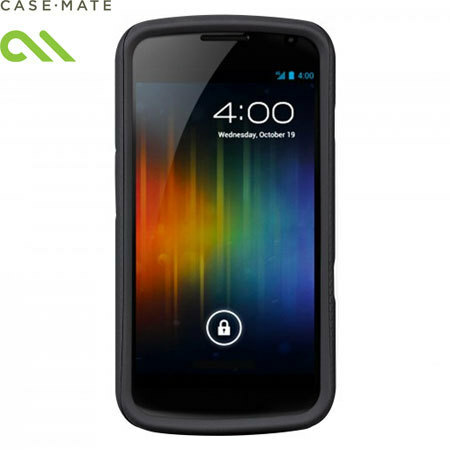 The Case-Mate Tough Case however features dust-proof protection to the buttons around the sides, which helps reduce the risk of damage. Although this case offers ultimate protection from scrapes and drops, it doesn't compromise on usability to do so. All buttons, cameras, speakers and ports are readily accessible, so you'll never have to take the case off to use your phone.